Electron is a two-stage Orbital Launch Vehicle developed and operated by Rocket Lab for commercial small-satellite launches. The world’s first flight-ready rocket to employ an electric pump-fed combustion cycle, Electron can lift 225 Kilograms into Low Earth Orbit and comes at a launch price of under $5 million. 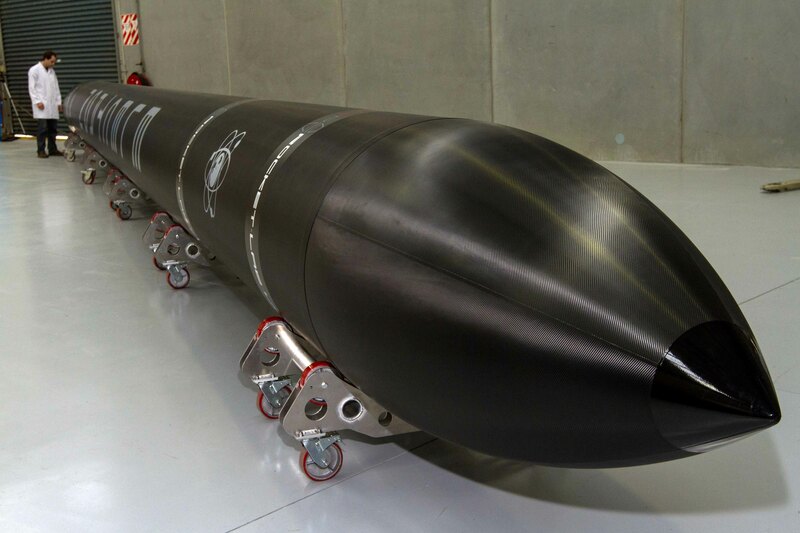 Rocket Lab was founded in New Zealand in 2006 by entrepreneur Peter Beck and is now headquartered in the United States with a subsidiary in New Zealand – Electron flies under American flag. The company’s mission is to develop a cost-effective commercial launch service catered to the niche of small customers that would normally have to purchase piggyback rides with primary payloads which typically means microsatellite operators will not have much of a say in terms of flight scheduling and orbital trajectories. The Electron Program was initiated on the premise that small payloads such as CubeSat clusters would prefer the flexibility of a small satellite launch vehicle with particular aim at creating a cost-effective solution matching or even surpassing the capabilities of existing launch systems. Electron is designed to service the small satellite market with dedicated and shared launches, primarily serving Sun Synchronous Orbit. 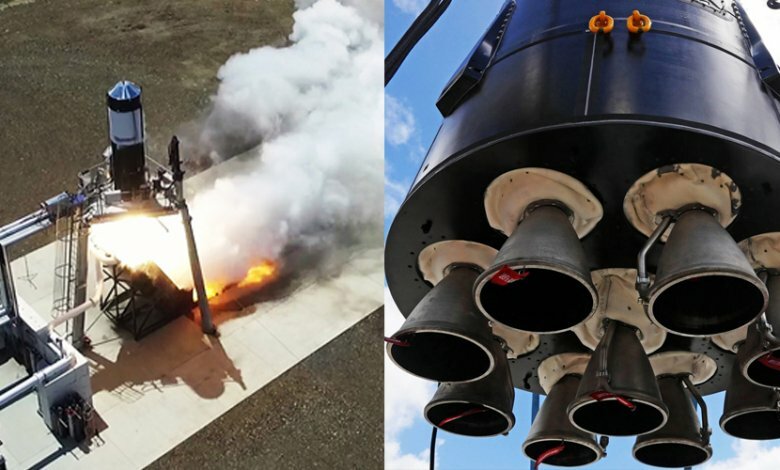 Rocket Lab’s advantages are rapid launch scheduling and a novel payload integration approach using ‘Plug-In Payload’ modules that enable integration with the rocket in a matter of hours. Rocket Lab launched Ātea-1 (Maori for ‘Space’) in 2009 – a sub-orbital mission that was largely of symbolic character to become the first private company in the Southern Hemisphere to cross the boundary of space. The company received a contract from the U.S. Operationally Responsive Space Office (ORS) in December 2010 to study a low-cost space launcher for nanosatellites. 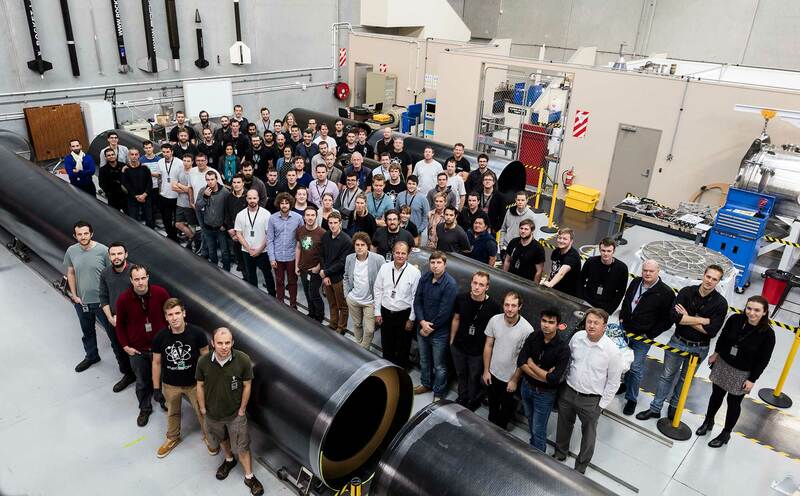 Funding for Rocket Lab’s projects was provided through different private companies from the U.S. and New Zealand. 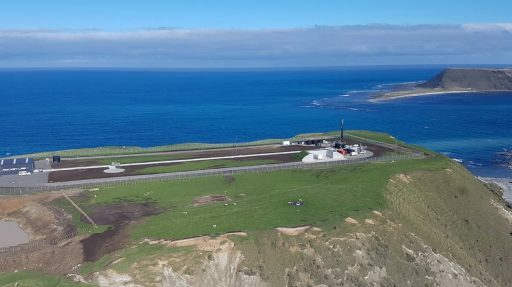 Electron’s primary launch site – Rocket Lab Launch Complex 1 – is located on Mahia Peninsula of New Zealand’s North Island, offering launch corridors to a variety of orbits including Sun Synchronous Orbit. Mahia became the company’s primary launch base after plans of establishing a launch site on Kaitorete Spit, South Island stalled in 2015 because the required resource consents for developing at Kaitorete could not be obtained. Kaitorete had been chosen due to its proximity to Christchurch where the company wanted to build a rocket production facility. Construction at Mahia began in December 2015 to build a 50 metric-ton launch platform and tower, a hangar for the Electron rockets and propellant ground infrastructure as well as support facilities and infrastructure work to upgrade the road and telecommunications network in the area. Most of the infrastructure work was completed by June 2016 and an official opening ceremony was held at Launch Complex 1 on September 26, 2016. Rocket Lab has entered an agreement with air traffic service provider Airways New Zealand to develop special use airspace around the launch site to ensure regular flight activity. The Mahia site is licensed for a maximum launch rate of once every 72 hours over a period of 30 years, though Rocket Lab believes the actual launch rate would average one mission per week. From Mahia, Electron can launch payloads into orbital inclinations of 39 to 98 degrees. 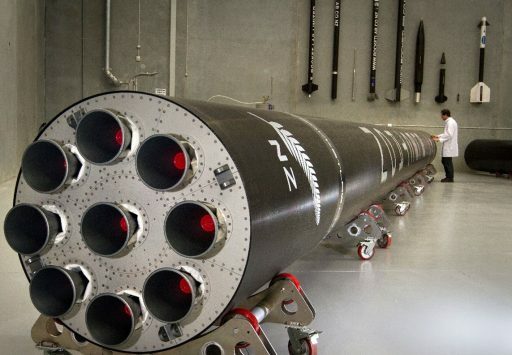 Rocket Lab is also planning to launch Electron from the Pacific Spaceport Complex – Alaska (PSCA) with range support provided by Alaska Aerospace Corporation. Cape Canaveral was also studied for Electron missions. Electron finished acceptance testing in 2016 and is expected to begin a flight test program in early 2017 before transitioning to operational services. The price for a dedicated launch of Electron is envisioned to be $4.9 million. Rideshare missions are expected to be launched every quarter, depending on demand, with prices starting at $77,000 for a 1U CubeSat and $240,000 for a 3U CubeSat. Typically, CubeSat rideshare missions will have a capacity of 82 CubeSat Units, broken down in two 12U, four 6U, ten 3U and four 1U slots for a total launch price of $6.5 million. Electron, the first electric-pump-fed orbital rocket, stands 17 meters tall and is 1.2 meters in diameter, employing two rocket stages powered by a total of ten engines to lift payloads of up to 150 Kilograms into a 500-Kilometer Sun Synchronous Orbit. The rocket makes use of state of the art technologies such as composite materials and 3D printing to establish a highly efficient launch system that is easy to manufacture at the rate required to support a rapid launch cadence. The Electron Rocket takes an approach similar to the SpaceX Falcon 9 with a first stage powered by nine identical engines and a second stage powered by a single, vacuum-optimized version of the engine. Rocket Lab developed all components for Electron in-house including the Rutherford engine, named after famed New Zealand scientists Earnest Rutherford. Electron is the first orbital launcher to feature an all-composite design, making use of advanced carbon composite materials to build a strong and very light-weight structure. 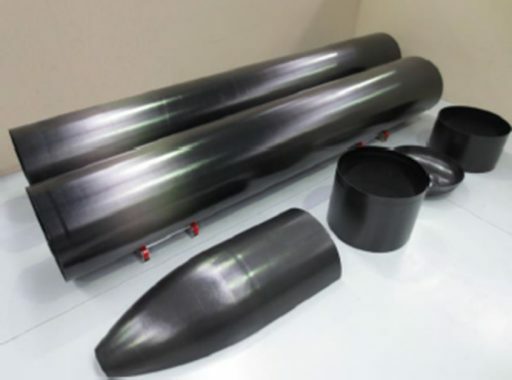 Rocket Lab developed carbon composite tanks that are compatible with cryogenic Liquid Oxygen, offering impressive weight savings compared to conventional tank technology. Both of Electron’s rocket stages use a mix of Liquid Oxygen and Kerosene propellants. Rutherford is an electric-pump-fed rocket engine consuming Liquid Oxygen as oxidizer and Rocket Propellant 1 (Kerosene) fuel. Two versions of the engine are available, one for use on the first stage of the Electron launch vehicle and a vacuum optimized version with extended nozzle to power the rocket’s second stage. Rutherford is the first flight-ready engine to use the electric pump-fed cycle which was chosen to reduce cost and make the engine much easier to manufacture. 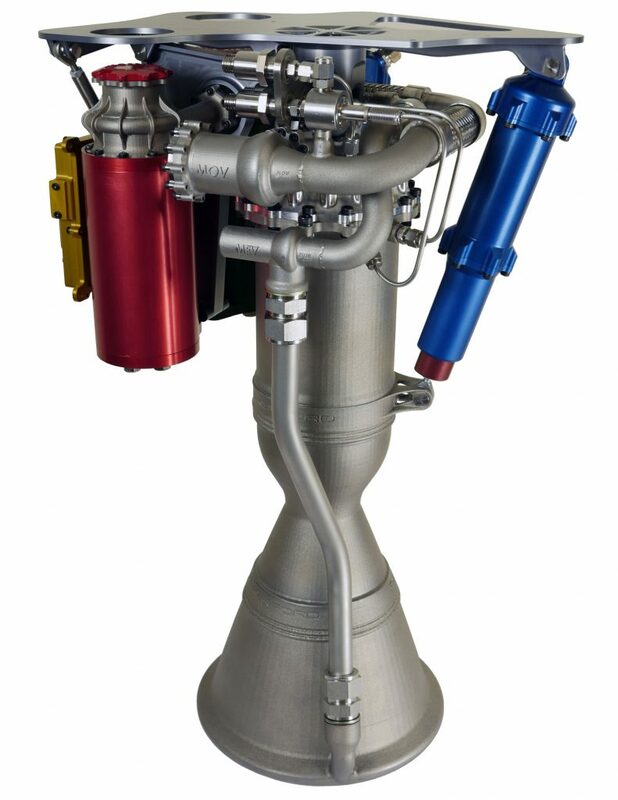 It is also the first Kerosene/LOX engine to use 3D printing for all primary components – the engine chamber, injector, pumps and main propellant valves. 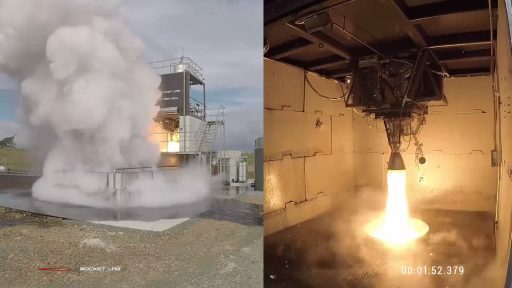 Rocket lab says it takes 24 hours to print the components for one Rutherford engine, allowing mass production as required to support Electron’s envisioned launch rates. Inconel, a nickel-based alloy, is used for the engine chamber and nozzle to endure the pressures and temperature encountered during the combustion process. The unique electric-pump-fed combustion cycle of Rutherford employs a dual brushless DC electric motor to drive the turbomachinery of the engine. Each of the small motors, about the size of a soda can, delivers 50 horsepower (37kW) when spinning at 40,000 RPM. The major advantage of the electric pump-fed cycle is its simplicity – foregoing any complex gas generator and turbine systems which are some of the most complex features of modern liquid rocket engines and would increase engine manufacturing time and cost. A disadvantage of the design is the heavy battery required to drive the pumps, though some of that weight is compensated by eliminating turbine equipment from the engines. Rutherford employs a regenerative cooling scheme – passing the Kerosene fuel through channels to transfer heat from the combustion chamber to the fuel which is then injected into the chamber for combustion. Each engine assembly, without battery, weighs approximately 20 Kilograms. Another advantage of using electric motors to drive the engine pumps is their controllability for very precise propellant mixture adjustments and throttling capability. Tweaking a gas generator based system is a more complex undertaking than modifying the settings of electric motors, giving Electron a unique capability of being fine-tuned to optimize performance without hands-on work. Power is fed to the engine motors from Lithium Polymer battery packs, 16 of which are installed on the Electron launch vehicle. The first stage version of Rutherford has a nozzle diameter of around 0.2 meters and creates a sea level thrust of 18 Kilonewtons (1,835 Kilogram-force) rising to 21kN in vacuum (2,140kgf) at a specific impulse of 303 seconds. The vacuum-optimized version of the Rutherford engine generates 22 Kilonewtons of thrust (2,240 Kilogram-force) at a relatively high specific impulse of 333 seconds. Rutherford consumes a little under 7 Kilograms of propellants per second at its nominal throttle setting. The first stage of the Electron launch vehicle stands 12.1 meters tall and is 1.2 meters in diameter with an inert mass of 950 Kilograms. The lightweight first stage hosts the propulsion compartment in the aft with nine Rutherford engines and a battery bank, and two composite tanks holding Liquid Oxygen and Kerosene propellants occupy the majority of the stage’s forward volume. Carbon-fiber composite materials are used for the structural tube of the stage as well as the propellant tanks. The first stage holds 9,250 Kilograms of propellants, consumed by nine Rutherford engines installed in an ‘Octaweb’ arrangement similar to the Falcon 9 rocket with eight engines arranged in a circle, clustered around a single engine in the center. This arrangement is advantageous as it reduces the number of load-carrying components needed to transfer the thrust from the engines to the outer load-bearing structure of the rocket. 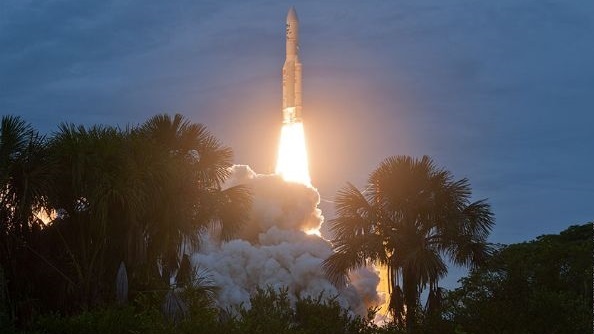 Electron has a total launch thrust of 162 Kilonewtons (16,500 Kilogram-force), rising to 192kN (19,600kgf) when flying through the tenuous upper atmosphere. Electron’s first stage operates for approximately two and a half minutes. The first stage of the launch vehicle hosts a total of 13 Lithium-Polymer battery packs installed in a skirt within the aft section of the rocket, in close proximity to the engines. The battery bank is capable of generating over 1 Megawatt of power during the first stage’s brief operation. Three-axis control during first stage flight is provided by gimbaling all nine Rutherford engines. Electron uses a helium tank pressurization system and stage separation is accomplished with a pneumatic system developed in-house by Rocket Lab. The second stage of the Electron launch vehicle is responsible for accelerating payloads to their injection speed and deploying them into their target orbits after the propulsive phase of the flight is complete. It stands 2.4 meters tall and shares the first stage’s diameter of 1.2 meters. Stage 2 has an inert mass of 250 Kilograms and also employs a composite structure and composite propellant tanks. Electron’s operational concept is similar to that of SpaceX’s rockets – employing a single engine design on the launcher with multiple engines powering the first stage and a single, vacuum-optimized engine installed on the second stage. The Rutherford Vac engine features an extended nozzle, expanded for optimal operation when flying in the vacuum of space. The second stage holds approximately 2,150 Kilograms of propellants, enabling a burn time of around five and a half minutes. Rutherford Vac generates a thrust of 22 Kilonewtons at a specific impulse of 333 seconds. Electron’s second stage hosts a total of three Lithium-Polymer battery packs to power the engine during its burn. Two battery packs are jettisoned as they become exhausted during propulsive flight to shed dead weight from the vehicle and increase Electron’s payload capacity. One battery pack is carried into orbit and remains with the second stage until re-entry. 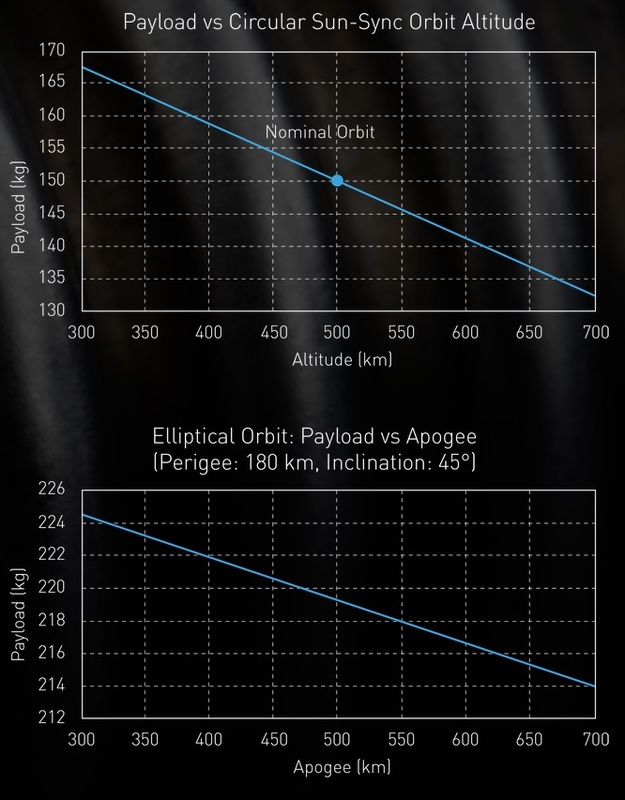 With a low auto-ignition temperature of only 150°C, the second stage batteries will burn up in their entirety during re-entry while the first stage batteries are also likely to be incinerated to some extent during their sub-orbital re-entry. Attitude control on the second stage is provided by gimbaling the main engine and through the use of a cold gas reaction control system that provides roll control during powered flight and three-axis actuation during coast phases and satellite deployments. Electron’s second stage facilitates the avionics and flight computers of the rocket, all developed and produced in-house at Rocket Lab and largely based on Field-Programmable Gate Array Technology to allow customization functions while retaining hardware commonality. 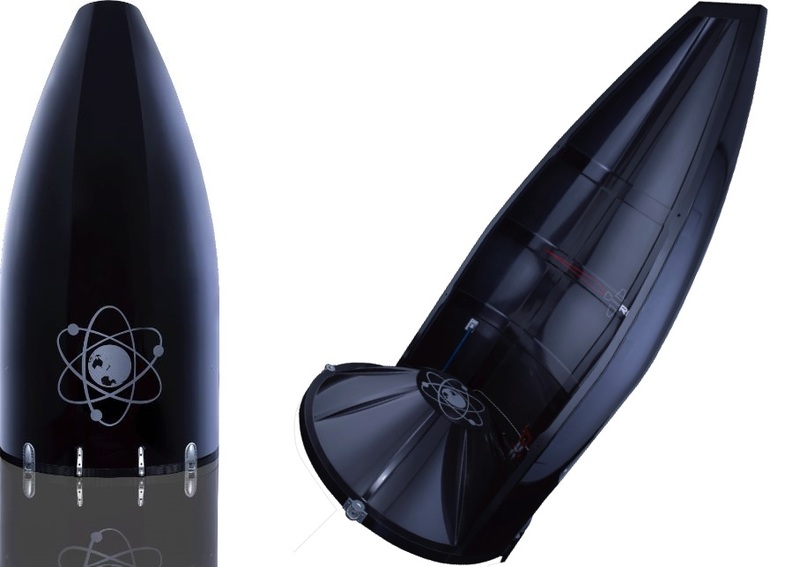 Electron employs a composite payload fairing that is 1.2 meters in diameter and 2.5 meters tall, offering sufficient space for all types of satellites that fall within the rocket’s weight-class as well as multi-payload assemblies for rideshare missions. The fairing has a mass of 50 Kilograms and jettisons a short time after first stage separation using a pneumatic system to split the fairing halves open. One of the major selling points of Rocket Lab is the company’s ‘Plug-In Payload’ concept that decouples payload integration from the main mission assembly. Customers can chose to manage payload integration themselves using their facilities and personnel, assembling a payload module with their satellites that is then shipped in an environmentally controlled container to Rocket Lab’s launch site. Integration of payload modules with the Electron launch vehicle is completed in a matter of hours. This concept is of particular interest to satellite operators that impose classification on their payloads, making Electron suitable for U.S. Government missions. 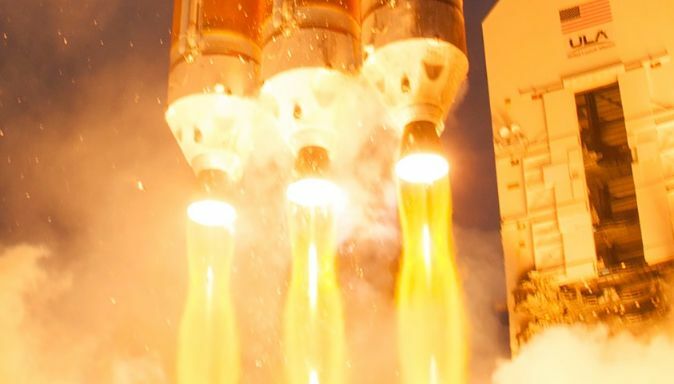 This approach of modular payload integration also enables customers to have standby payloads ready to go, eliminating the risk of cascading launch delays.